Developed by Mechanic Arms and published by Bergsala Lightweight Excave II: Wizard of the Underworld is a dungeon crawler at heart with heavy emphasis on your equipment! Unlike most RPG's characters don't level up, instead your stats are "almost" solely based on your equipment which adds an entirely new level of strategy when deciding to take on the game's many dungeons! Every monster and boss has an element or type of weapon that it's weak against, but sometimes they can be strong against certain attributes as well, so use caution when taking on powerful enemies! 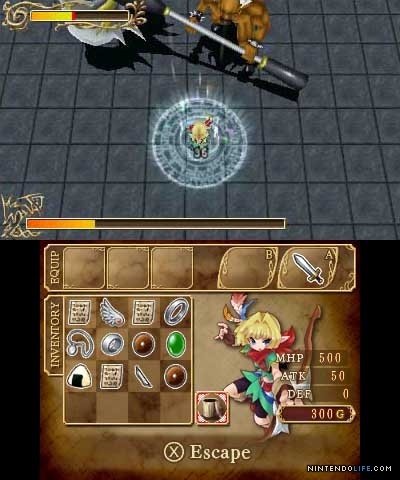 The game possesses several hundred weapons and items to discover as well as nearly 50 missions, including expert missions which are more difficult than standard missions. 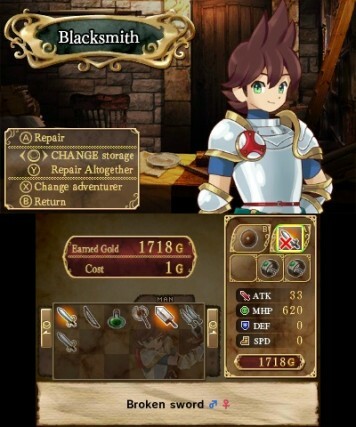 The game features two unique characters, each with their own skills and strengths as well as weaknesses. The controls in Excave II: Wizard of the Underworld are simple and easy to learn which is a must for games like this! The only drawback of this game is there's way too much dungeon crawling and the simplistic battles don't help much as they will get quite repetitive. It's not terrible, but sometimes it'll feel tired and old. Visually the game looks good, especially the dungeons themselves. The characters are vibrant and colorful which is a given since it's a JRPG and that's a good thing! The sound effects are pretty average, however the soundtrack is superb so don't be surprised if you hum a few of the tunes every now and then. 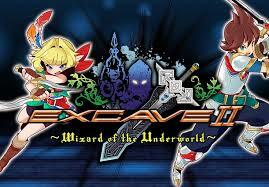 Overall Excave II: Wizard of the Underworld has an excellent audio-visual presentation! With solid and unique gameplay, excellent controls, and a superb audio-visual presentation, Excave II: Wizard of the Underworld is a great game in its own right. It isn't without it's flaws though as battles are too simplistic and there's a bit too much dungeon crawling, and not much of a story either, but despite all of this it's still a solid game at its core which is why we give Excave II: Wizard of the Underworld a solid recommendation!